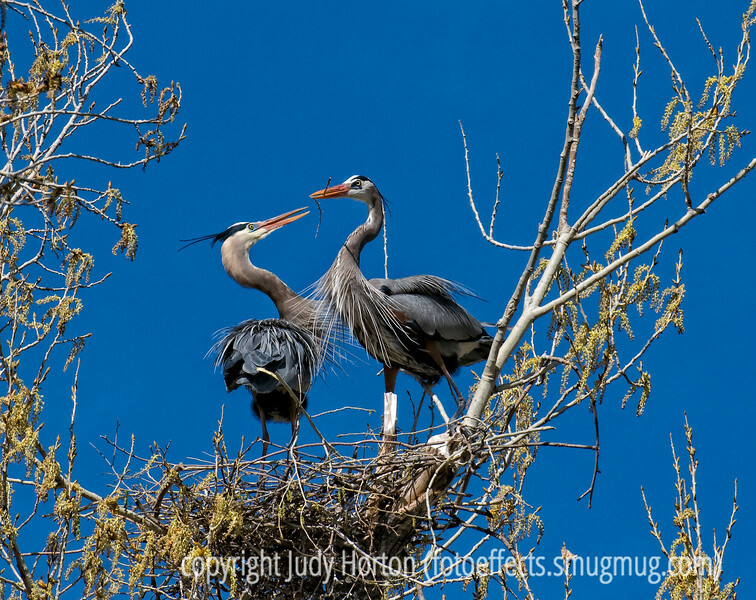 A male great blue heron has just returned to the nest with a branch, which he is presenting to his mate. This image is best viewed in the largest size. Thanks for the comments on the shot of the aloe seedheads. Enjoy your weekend! Thank you for your comment on my Killdeer photo. The feather details on the Heron are awesome. Lovely nature scene, great capture! Great shot of this pair.